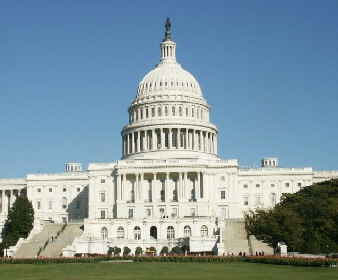 On December 21, Rep. French Hill (R-AR) introduced a resolution H. RES. 673 titled Expressing concern over attacks on Coptic Christians in Egypt with original cosponsors Rep. Illeana Ros-Lehtinen (R-FL), Rep. Dave Trott (R-MI), Rep. Brad Sherman (D-CA), Rep. David Cicilline (D-RI) and Rep. Carolyne Maloney (D -NY). Strong bi-partisan support of the resolution is reflective of the urgency of the situation of Egypt’s Copts who have come under increasing terrorist attacks, and suffered under increased systematic and systemic discrimination by the Egyptian government under el-Sisi’s administration. Since his election as a president, Mr. el-Sisi has pursued increasingly authoritarian measures to consolidate his power, silencing all political dissent, controlling the media, imprisoning human rights activists, and failing to protect religious minorities, much less end the systematic and systemic discrimination to make them equal citizens. Furthermore, Copts have been subjected to more attacks during el-Sisi’s rule than before. On closer inspection of the documents available on nine of the permits, Coptic Solidarity ascertained that not a single of those nine are new church permits. The permits allow for rebuilding 2 ruined churches or minor repairs to existing churches. Coptic Solidarity continues to monitor the situation as these documents become available. 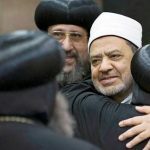 A recent report by the Egyptian Initiative for Personal Rights (EIPR) says that not a single new church permit has been granted since the passage of the new church law was passed. 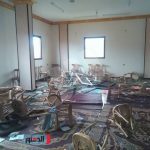 Last Friday’s attack by fanaticized mobs on a church in Atfeih, 40 km south of Cairo, following a rumor that a bell-tower would be built (! ), further confirms the despicable complicity of el-Sisi’s Security apparatus, which rushed to arrest wounded Coptic victims rather than the criminal attackers. Coptic Solidarity urges Members of Congress to cosponsor and rapidly pass H. RES 673 providing much needed moral support to an increasingly marginalized Coptic population in Egypt, and providing accountability to the el-Sisi administration for its mistreatment of the Coptic minority.